Jaguar built their XJ-S replacement for the gorgeous E-Type starting in 1975, and if you were a rich/distinguished buyer at the time, you would have noticed something conspicuously absent from the order sheet options. 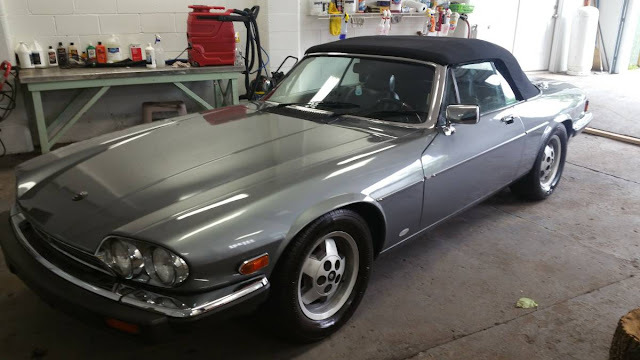 Where did the convertible (the best looking E-Type) go when they designed the XJ-S? 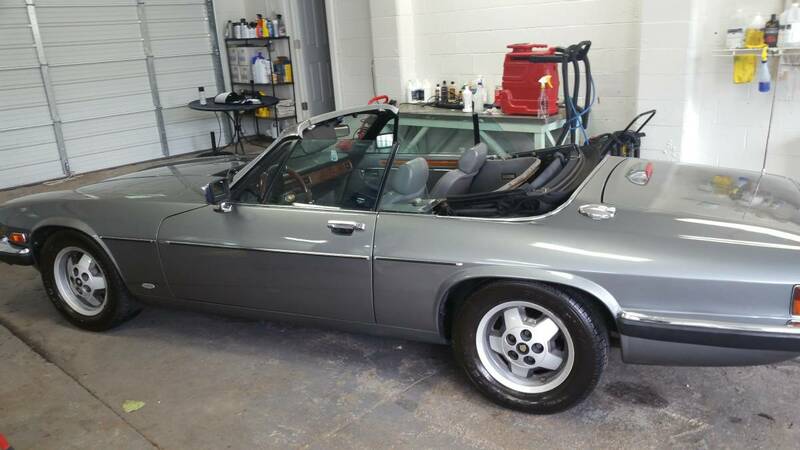 Find this 1988 Jaguar XJ-S V12 offered for $9,500 near Nashville, TN via craigslist. Tip from Rock On! The Hess & Eisenhardt convertible Jaguars were converted in Ohio starting in the 1986 model year and continuing until 1988 when Jaguar released a factory convertible version. Legend has it that Jaguar corporate were concerned for a number of years that the US Dept of Transportation would ban convertibles from the road, so they contracted Hess & Eisenhardt to build about 2000 examples before they tooled up a factory version. The H&E convertible is slightly better looking because the top folds down flat to the body, instead of sticking up more as in the Jaguar OE version. This one looks much better with the top down than the OEM version. I'd like to see it with a hard parade boot. Rare with that ragtop. Even rarer that it does not have a small block Chevy in it yet!!! Despite the stylish elegant cars, Jaguar has always been struggling financially. The dearth of luxury European cars made competition was difficult and Jaguar was never able to establish itself abroad. The chief reason was the lack of buyers.